The day I’ve been waiting for . . . Lori Benton is our guest! 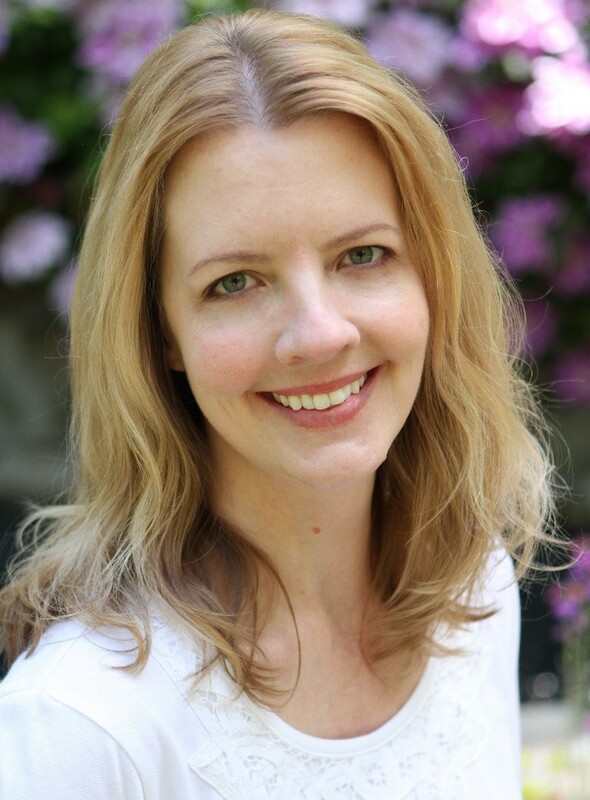 Lori is a debut novelist whose work reads like that of a polished veteran storyteller. Lori writes historical fiction set on the American Frontier. Lori’s storytelling brings to life the Colonial and early Federal periods of American history. Lori’s milestone 30th birthday gave her a chilling and thrilling God-story to share. MONA: Welcome, Lori! I’m delighted you’re with us today. And so excited to let my readers know more about your breathtaking and heart-stirring debut novel, Burning Sky! LORI: It’s my pleasure to visit. Thank you for giving me the opportunity to talk about history, writing, and faith–three of my favorite subjects. MONA: What Bible verse is most meaningful to you right now? LORI: I don’t have to pause to think about it. Philippians 4:13 I can do all things through Christ who strengthens me. This past year continues to be quite the challenge. I’ve gone through my first novel’s editing, the beginnings of promotion and marketing, and very soon now its release (and the simultaneous editing of my second novel), preparing two proposals for my agent, all while endeavoring to research, plot, and write a new novel, something that used to be my sole (and soul) focus. I’ve been writing long enough to have met many published writers, so I knew how demanding a published writer’s life would be. But knowing and experiencing are different animals. I’m enjoying so much about what I’ve found on this side of the publishing door, but it is a lot of hard work. There are many necessary (often very interesting) things to do that are all about the writing, but aren’t writing, which of course is what my heart is longing to do all the time. I’m learning to take it one day at a time, to trust God for today (and the things on my plate today), for peace, patience, and the dedication to use my time as wisely as I can. And to cease worrying about or setting my sights on tomorrow (a great way to trip over today). MONA: The New York frontier serves as the setting for Willa’s story, set in 1784. What drew you to this setting and time period? LORI: A combination of things drew me. My own fiction reading, for one. I’d read two general market series set at least partly in New York during the 18th century, one by Diana Gabaldon, the other by Sara Donati. So I knew Very Interesting Things had happened in New York during the late 18C. The first 18C novel I wrote was set in North Carolina, but the types of themes I was drawn to—the experiences of men and women caught in the Middle Ground between cultures and races—had already emerged. It didn’t escape my notice that New York’s history, particularly during the Revolutionary War era, is rife with stories of such men and women, European, African, and Iroquois. By the time I finished spilling out that novel set in North Carolina, I had several kernels of the story that would become Burning Sky sprouting through the soil of my imagination. It turned out to be an abundant harvest, and I hope to write more stories about the history of New York during the 18th century. MONA: I had the privilege of reading Burning Sky ahead of its publication. What sparked the idea for Neil MacGregor’s story? LORI: The character of Neil MacGregor has had a long and interesting journey. I first wrote him into a contemporary story set on the Oregon coast—his character was initially inspired by the movie Man Without A Face. Neil’s physical disabilities and challenges (and his heart’s desire, in spite of them) were largely the same as they are now, but how he dealt with them in that original story was very different than what readers will find in the pages of Burning Sky. In fact, he dealt with them much more like Willa Obenchain, the heroine of Burning Sky, attempts to deal with her struggles, through isolation and retreat from the world. Halfway through writing that contemporary story, I faced my own battle with debilitating illness. I was diagnosed with Hodgkin’s Lymphoma in 1999, and while I responded well to the treatment and was in remission within months, I wasn’t prepared for one long-term side effect: chemo fog. When I returned to writing, I discovered I could no longer focus, or remember what I’d written a week or even days ago. Nothing I researched would stick with me. My memory was shot full of holes. It was a frustrating and disheartening season. It was also a season of deepening, and refining. It would be nearly five years before I was healed enough to write again the type of books I longed to write. Burning Sky was the second novel I finished after that season of fog, and happily Neil MacGregor made the successful time-travel and found his story-home there. Because of the challenges I went through with chemo fog, and my path to recovery, I found the character had grown as well—grown in faith and maturity, grown in hope and trust. He’s a different Neil MacGregor, in spite of the similarity his experiences bear to that early incarnation. But he’s a truer Neil MacGregor. MONA: We really appreciate your vulnerability, Lori. Thanks for sharing bits of your own story with us. What were the intersection points at which Willa’s journey crisscrossed with your personal journey? LORI: Willa is easily the heroine least like me that I’ve ever written. While I identify more strongly with Neil’s journey, all that he is striving to overcome, there are certain aspects of Willa’s character journey that I recognize in myself. Foremost among them is Willa’s tendency to isolate herself rather than risk all that comes with forging deep personal relationships. There will always be two sides to that coin. Joy and blessing on one side, pain and loss on the other. We live in a fallen world. But we are meant to live here, not merely exist, until God calls us home. I believe He wants to (and can and does) use even the painful realities of living in a fallen world—like loss and separation—for our good. MONA: What valuable insight. Thanks, Lori. What is one (or more) of the most interesting things you learned while doing the research for Burning Sky? LORI: One of the most interesting things I learned while researching the history of the New York frontier is woven only briefly into the pages of Burning Sky, and that is the experience of the Six Nations of the Iroquois Confederacy during the 1770s and 1780s. Their journey through this tumultuous time is one of the most painful and difficult subjects I’ve researched, and one of the most compelling and inspiring. The Revolutionary War saw a breaking of the centuries old Iroquois League, as the Mohawk, Onondaga, Cayuga, and Seneca nations allied with the British, while the Oneidas and part of the Tuscarora nation allied with the patriots. These were terribly hard and often bewildering decisions for each nation to make. They were choices years in the making, with many attempts to remain neutral and at peace. But pressure to align proved too great, and ultimately it became a civil war for the Iroquois, one in which there was no winning side. They lost so much, even our allies, and I don’t know that that’s remembered as it deserves to be. There are many incredible stories of Iroquois men and women who sacrificed, fought, and served to see our country birthed. I hope one day to tell some of them. MONA: You have a second book scheduled for release with WaterBrook Press, can you give us a hint, or two? Is the story a sequel to Burning Sky? Same setting? Some of the same characters? LORI: The Pursuit of Tamsen Littlejohn will release in spring of 2014. It’s a stand-alone novel with a different set of characters, and a different setting—western North Carolina (present day Tennessee), 1787-88. This was a unique and tumultuous time period across the Blue Ridge Mountains that I believe will surprise many readers. The story bears similarities to Burning Sky in that it explores those themes of identity, loss, and the pull between life-paths, races, and cultures, but these themes are explored through the hearts and minds of a frontiersman, Jesse Bird, and a cloth merchant’s daughter, Tamsen Littlejohn. MONA: Some writers thrive on writing the first draft while others most enjoy digging into the revisions. What’s your favorite part about writing a book? LORI: I enjoy both for different reasons. Writing a first draft is hard, hard work, and fraught with insecurities, unknowns, anxieties—and that’s after I’ve plotted and researched to a fare-thee-well. Those things are for the course, and I’m able to not take them too seriously. But there’s nothing quite as satisfying than staggering away from the keyboard, thoroughly spent and exhausted, after getting down a scene or a chapter, or whatever portion of the story I sat down to write. Of a scene existing where before there were only notes, or a few scraps of dialogue and description. Once that first draft is done comes a tremendous sigh of relief. The sense of a burden lifted. Then the real fun begins. There’s something about having that first draft—scene, chapter, or the whole book—finished that enables me to peel back layer after layer and go deeper with the various story elements, to play with language, deepen theme, really capture a character’s voice, and be surprised by unexpected nuance. To polish and reshape and polish again, until the whole better resembles that first flash of inspiration, when I saw the story spiral out in its fullness. Those flashes can never be tamed, or even fully captured. Writing, for me, is the process of recalling that fleeting glimpse I had of the whole—like watching a film on fast forward, then trying to recreate it one word at a time. MONA: What advice do you have for those who dream of being a published novelist? LORI: Read. Read all the time. Read all kinds of books, but especially the kind of books you want to write. And write. Write as much as you can. Write the kind of books you want to read. I was once told by a successful writer that if you do those two things, and don’t stop, you will improve. Be patient. It takes time. One more thing I’ve learned by experience: love the writing first, best, and always. Even as you pursue publication, do whatever it takes to get to the place where the writing is joy enough. You will need that joy to sustain you after you’re contracted, especially if you’re an introvert like most of us writers tend to be. MONA: Lori, we appreciate your taking the time to sit with us a spell, sharing from your heart, and offering a giveaway copy of Burning Sky. Thank you! LORI: It’s been my pleasure, Mona. Thanks for giving me a chance to share on some topics important to me. Willa is a woman caught between two worlds! Read an Excerpt from Burning Sky. What did you learn about Lori or her writing that intrigued you most? CONGRATULATIONS to Jennifer, who won the drawing for a signed copy of BURNING SKY. 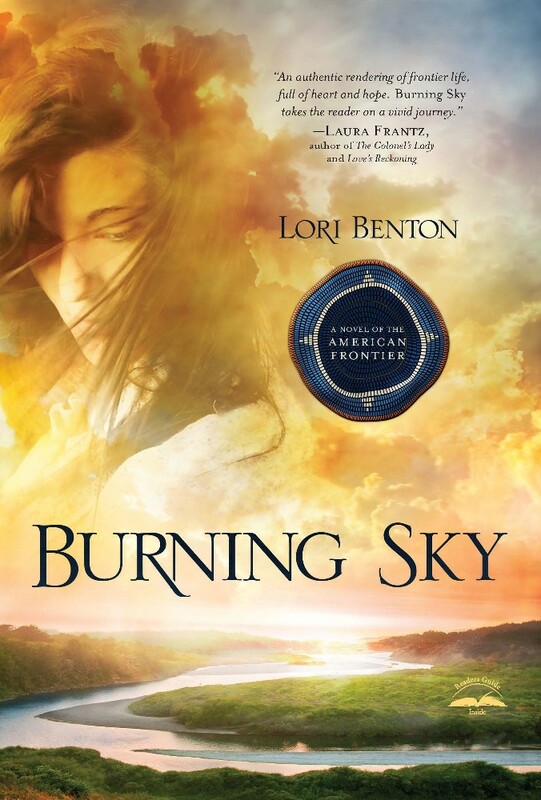 Get to know Historical Author, Lori Benton, and the frontier backdrop for her debut novel and enter to win a copy of BURNING SKY.